Carmel Foley is an Associate Professor and Program Director in the UTS Business School with more than 10 years experience in higher education leadership. She has strong networking and relationship skills forged through leadership of a sustained research strategy that has made major contributions in building a national and world leading reputation, contributing to engagement and partnerships that enhance the reputation of UTS. Globally, this work has provided a blueprint for industry innovation. A Research Associate of the Centre for Business and Social Innovation, Carmel's high impact research projects include the Beyond Tourism Benefits Series for Business Events Sydney and the Value of Meetings Case Study Project for the Joint Meetings Industry Council. These projects have redefined the value proposition of the global meetings industry. Her work with ICC Sydney has evaluated social, environmental and economic impacts, including in rural and regional communities. Her recent publications include Conferences as Catalysts for Thriving Economies (2016), The Power of Conferences (2017), and Feeding Your Performance (2018). Carmel's research extends to social inclusion where she has completed projects and publications in the areas of gender equity and cultural inclusion. Carmel's teaching is ideally located in her areas of research strength: diversity management, social inclusion, event management and research skills, allowing her to share her knowledge and passion with her students. She teaches undergraduate and postgraduate students in event management and supervises research projects for students of management, supply chain, human resource management, social enterprise, sport, tourism and event management. Her keen interest in students is reflected in internal and external projects in learning and teaching. Carmel led the high profile Engaged Students = Better Graduates: impacts of involvement in university-based extracurricular activity for ActivateUTS. 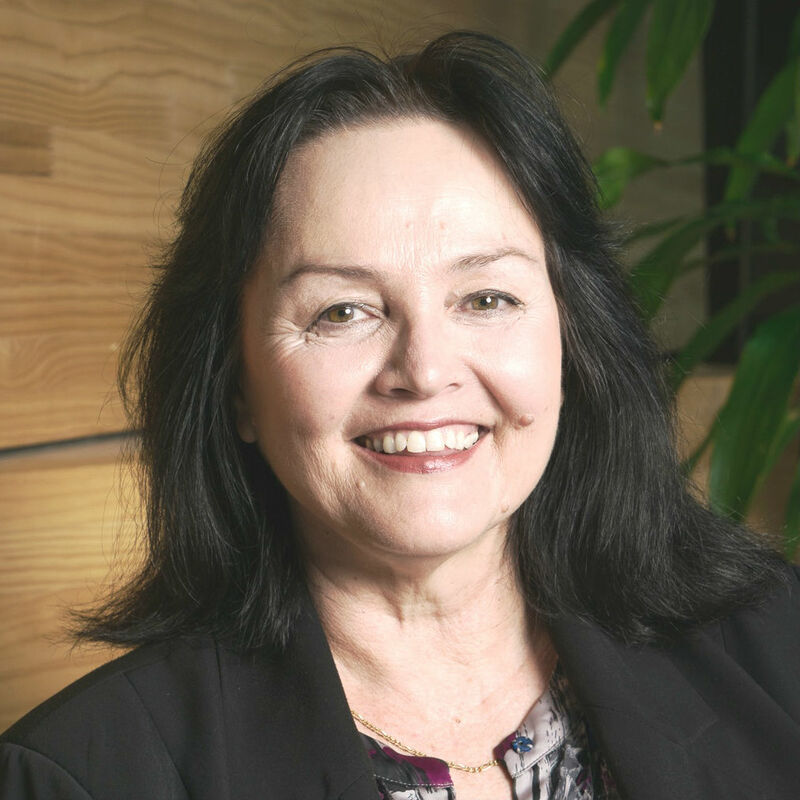 She has twice been been awarded a Vice Chancellors' Learning and Teaching grant, has received a UTS Teaching Award and a Citation for sustained leadership and commitment to aligning academic programs with graduate attributes. Carmel was also awarded UniJobs Lecturer of the Year Top Ten at UTS, twice. Carmel supervises PhD, Masters and Honours students and her students have received numerous awards. A chance encounter at a conference sets up a series of unfolding events. potential link between the human papillomavirus and cancer. This meeting proved fateful, as it helped to put him on the path that would ultimately lead to the development of the HPV vaccine. This vaccine is now used across the globe, and may eradicate cervical cancer within a generation. and design conferences to allow for the full range of potential benefits and outcomes? Architecture has been recognized for its supporting role in the enhancement of the physical assets of destinations, which play a leading role in drawing tourists who identify and associate destinations with these architectural landmarks. Whilst generating tourist expenditure is not the aim of most architects, many are increasingly aware that articulated and functional buildings become visitor attractions in their own right – an externality that requires valuing. However, the value assigned to iconic architecture is often restricted to the bricks and mortar construction, and the broader contributions a building can deliver to its stakeholders are largely ignored. This paper explores the capacity for architecture to attract tourists and effect direct tourism spend through the examination of five cases, each of which has attempted to estimate their economic value to tourism. The paper proposes a model for estimating the future value of iconic buildings, and tests its application to the University of Technology Sydney, Gehry-designed, Dr Chau Chak Wing building. The implications of the framework and future research are discussed. Digital discrimination has become a buzz word following the recent reports of racial and other discrimination associated with Airbnb. This issue is perceived to pose serious concerns with the rapid growth of the sharing economy. This research note derives insights into digital discrimination through the lens of a series of online newspaper comments made in response to an article reporting Airbnb's new anti-discrimination policy. The data were analysed by using text-mining and co-stakeholder analysis. The visualized network and each stakeholder's surrounding discourse reveal that digital discrimination contains multiple layers and meaning constructions. This paper provides a starting point for tourism and hospitality researchers to contribute to the thinking around the digital discrimination with the rapid growth of the sharing economy. Chinese Post-80s (the Chinese equivalent of Generation Y) are a distinct generation that emerged during a period of rapid political, social and economic change under Deng Xiaoping's policy exploration with capitalism. Chinese Post-80s demonstrate higher levels of both complexity and sophistication in their tourist behaviours when compared with earlier generations of Chinese tourists yet their distinctiveness has been largely ignored in tourism research. Underpinned by generational cohort theory, this study explores the formative experiences of Chinese Post-80s and provides insights into the way these experiences have shaped this generation and their outbound travel. These formative experiences include Reform and Open Policy, One Child Policy and Education Reforms. Two discrete groups: 'made in China' and transnational Chinese Post-80s tourists have been identified. We argue that while Chinese Post-80s tourists may share many aspects in common with their Western counterparts, this generation presents its distinctiveness due to its emergence from a specific sets of events with China's rapid change that make Chinese Post-80s different from any generation in the global environment, creating new academic inquiries for established theories of generational studies. This nuanced understanding of Chinese Post-80s tourists has profound implications for theory and practice in the context of Chinese outbound travel. © 2017 World Leisure Organization. A recurring theme has emerged from past ANZALS (Australia and New Zealand Association for Leisure Studies) Conferences' keynote presentations conc erning the status of leisure studies from a teaching and research perspective. While this broad discussion has been raised, little is formally known about the current status of leisure studies in Australian and New Zealand universities. The ANZALS Board initiated a project in 2015 to gain insights into this topic. The purpose of the project was to document issues about leisure studies in Australian and New Zealand universities and to explore strategies that could assist ANZALS to promote leisure studies across various sectors. This initiative sought feedback from the ANZALS Patron organisations as well as members via a workshop conducted at the 2015 ANZALS Conference. Outcomes from the project have identified leisure studies as a diverse and disparate field of study. Leisure studies is no longer a centralised field within Australian and New Zealand universities. Instead, leisure studies have become divergent and focused on the elements within leisure such as recreation, sport, tourism and events, as well as across domains such as management and health. The project outcomes indicate the need for organisations such as ANZALS to develop and maintain collaborative networks with a variety of stakeholders, both within the tertiary sector as well as amongst practitioners in various industry sectors. There is also a need for ANZALS and kindred organisations to recognise and acknowledge the past and ensure its future by examining how leisure studies can be defined for application in a realm of related fields of study. © 2015 Taylor & Francis Slow tourism is motivated by the desire for personal and communal well-being. It emerged as an antidote to the fast-paced imperatives of global capitalism that urge the entrepreneurial self to speed up and work harder to achieve and demonstrate desired social status. The entrepreneurial self can be understood in the contexts of neoliberalism and the class- and gender-based histories of time-thrift and rational recreation; the entrepreneurial self uses leisure time purposively in the pursuit of status, avoids idle pursuits and has restricted capacity to experience leisurely social relationships. In this article, it is argued that leisurely social relations can be reclaimed by letting go, even temporarily, of time-thrift and the compulsion to use leisure time purposively. Data drawn from in-depth interviews with repeat visitors at two Australian caravan parks revealed that for the period of their holiday the tourists relax, refuse to be driven by schedules, socialise with other tourists and feel no compulsion to use time purposively. The key reasons the tourists return to the parks each year were for the friendships and the sense of community they experience as part of the holiday. Slow tourism by its very nature rejects time-thrift, however, as the movement is harnessed by global capitalism, slow tourism risks becoming a source of conspicuous consumption. The findings of this study suggest that friendship and community thrive more readily in conditions where the need to achieve and demonstrate social status is discarded along with time-thrift. Business events are celebrated for their contributions to community and industry. They are understood to be shared social contexts in which people meet to advance knowledge, sell products, and network. Less celebrated and, arguably, less understood is that business events provide a context for the development of friendships. In 2011 an online survey was conducted with the delegates of five international business events held in Sydney, Australia in the period 2009–2011. The survey was designed to investigate business legacies of the events (such as investment opportunities, research collaborations) rather than sociable legacies. however, a surprising number of references to friendship were made in the 'additional comments' sections of the questionnaire. reflecting on this finding, this article argues that friendships forged at business events contribute to, respectively: the well-being of delegates, association membership levels, conference attendance, retention of personnel in the profession, successful research and professional collaborations, and creativity and innovation in the sector. Business event planners can maximize opportunities for sociable outcomes among delegates by designing warm and inviting event spaces that facilitate interaction, and by providing social space for the development of relationships, optimal conditions for sociability, and opportunities for play to stimulate creativity and build community. Government and industry are aware that the full value of the business event sector needs to be established. To date, the sector has been evaluated on the economic contribution it makes to host destination tourism. The tourism contributions have been impressive in themselves; however, this narrow focus has failed to account for a more extensive set of contributions to economies and communities. Impacts from business events in areas such as innovation, education, networking, trade, research, and practice are generally considered to outweigh the financial returns of the tourism spend. Although anecdotal evidence of the value of business events beyond the tourism dimension has been evident for some time, empirical research in this area is limited. This article has four objectives: first, to highlight the research need for understanding the broader impacts of business events beyond the tourism spend; second, to identify the range and impact of contributions made by business events to host communities beyond the tourism spend; third, to examine five Australian business events utilizing a grounded theory approach and present a range of identified legacies in the categories of knowledge expansion; networking, relationships, and collaboration; educational outcomes; raising awareness and profiling; and showcasing and destination reputation. Finally, the article discusses the implications of these findings for the business events sector. This paper presents the findings of a research project that explored notions of friendship and community in the context of caravan park holidays for repeat visitors to two caravan parks. The study was conducted by way of in-depth interview with 22 visitors to a caravan park on the south coast of News South Wales (Australia) in 2006 and 20 visitors to a caravan park in far north Queensland (Australia) in 2007. For both parks the findings indicate that the major attractions of caravan park holidays for long term repeat visitors are the friendships that build up over years of repeat visitation, and the relaxing lifestyle that the holiday affords. For the older and smaller of the parks the respondents also reported that a strong sense of community existed among the visitors and that this was a very satisfying feature of their holiday experience. There was less mention of a sense of community from respondents at the larger and more recently established park. Theoretical implications: there is an emerging literature documenting the possibilities of serious leisure and focal leisure activities as significant investment channels in the accumulation of social capital. This paper supports the theory that focal leisure activities can foster the development of a sense of community, however, our findings indicate that factors influencing this growth may include the age of the group and also the size of the group. Management and marketing implications: caravan park (and other tourist service) organisations may benefit from including notions of friendship and community in their marketing campaigns rather than the usual narrow focus upon facilities From a management perspective it may be useful to consider programming activities and providing amenities that facilitate social engagement and communal activity. Sloggett, GJ, McKenzie, DR, Cockayne, D, Smith, G, Jenkins, B, Foley, CT, Takano, Y & Studer, A 1994, 'In-situ Deposition Of High-tc Materials Using Vacuum-arc Ablation With Macroparticle Filter', Physica B: Condensed Matter, vol. 194, pp. 2353-2354. Edwards, D, Foley, C & Harrison, B 2018, 'A Case Study in Collaborative Supplier Partnerships' in Liburd, J & Edwards, D (eds), Collaboration for Sustainable Tourism Development, Goodfellows, Oxford, pp. 206-225.
visitation (Edwards et al., 2014; Mair & Jago, 2010). biophysical and biological ones) that ensure the biological productivity, organisational integrity and perpetuation of the ecosystem' (Swift et al., 2004:115). previous structure of the Sydney Convention & Exhibition Centre. surveys were conducted for festival organisers, attendees and local residents. First we profile the demographics, motivations and experience of festival attendees. benefits generated by the festival. Schlenker, K. & Foley, C.T. 2014, 'The Parkes Elvis Festival: a tourist attraction or a community festival? ', Curtin University, Western Australia. Foley, C.T., Schlenker, K. & Schweinsberg, S.C. 2011, 'Case Study: Triple Bottom Line Event Evaluation and the 2010 CountryLink Parkes Elvis Festival' in Allen, J., O'Toole, W., Harris, R. & McDonnell, I. (eds), Festival and Special Event Management, John Wiley and Sons Australia, Australia, pp. 511-515. The social and community building potential of sport has been highlighted by social policy makers and academics both in Australia and overseas (Australian Sports Commission, 2006; Coalter, 2007; Collins and Kay. 2003; Human Rights and Equal Opportunity Commission, 2007; Jarvie, 2003; Nicholson and Hoye, 2008; Rojek, 2005). There is a "presumption that sport can help to address the multifaceted aspects of social exclusion (e.g. reduce crime, increase employability, improve health) and contribute to community development and social cohesion" (Coalter. 2007: p. 19). In ethno culturally diverse societies such as Australia, with a vast array of ancestral identities. languages, and religions, sport has been strategically deployed to overcome the challenges of social exclusion and marginalisation among minority ethnic groups. This case study tells the story of how three large museums in New South Wales and the Australian Capital Territory in Australia manage their volunteers. Each museum operates a successful volunteer program for which there is a waiting list of volunteers. The volunteers at each museum are well managed, happy, and doing a valuable job for their respective organizations. We can learn something from their success. The volunteer coordinators from each organization have also identified areas in which their volunteers could be better managed in terms of the volunteer programs' integration into the larger organization and the ongoing support and training of the managers and coordinators who supervise volunteers. These are significant insights from practitioners in the field, which provide valuable learning opportunities. The case study provides an overview of the three organizations and their successful volunteer programs, and identifies key issues and a model for successful volunteer management. Three prominent Australian museums are the center of this case study: The Australian War Memorial (the Memorial), located in Canberra, the capital city of Australia, in the Australian Capital Territory; the Australian Museum (the Museum), located next to Hyde Park in the center of Sydney, New South Wales; and, also in central Sydney, the Art Gallery of New South Wales (the Gallery), located in The Domain. Iconic architecture assists in the identification of a place, city or precinct. Structural, functional and aesthetic aspects of architecture, particularly those that represent unique features, attract tourists. The aim of this study is to explore the value of iconic buildings to tourism with particular focus on the recently opened University of Technology Sydney Business School's Gehry designed Dr Chau Chak Wing (CCW) building. Five case studies which estimate the economic and social value of buildings to tourism are examined and the benefits transfer method is used to estimate the value of the CCW to tourism. Schlenker, K, Foley, CT & Edwards, DC 2013, 'Events at the Sydney Entertainment Centre: economic and social contributions', Making Waves, ICE 2013 - International Conference on Events, Bournemouth, United Kingdom. Foley, CT, Schlenker, K & Edwards, DC 2013, 'Beyond Tourism Benefits - Measuring the social legacies of business events', Making Waves, ICE 2013 - International Conference on Events, Bournemouth, United Kingdom. Edwards, DC, Foley, CT & Schlenker, K 2013, 'Measuring the holistic value of business events. ', Business Events Sydney International Advisory Board (IAB) Meeting, Sydney. Edwards, DC, Foley, CT & Schlenker, K 2013, 'Global Talent Hub Report', Advisory Board Meeting, Committee for Sydney, Sydney, Australia. Edwards, DC, Foley, CT & Schlenker, K 2013, 'Legacy of Business Events', Meetings and Events Australia (MEA) National Conference, Sydney. Edwards, DC, Foley, CT & Schlenker, K 2012, 'The Sydney Entertainment Centre: Measuring the inscope expenditure into Chinatown, Darling Harbour and the City of Sydney. ', Sydney Entertainment Centre Leadership Team, Sydney. Edwards, DC, Foley, CT & Schlenker, K 2012, 'The Sydney Entertainment Centre: Measuring the inscope expenditure into Chinatown, Darling Harbour and the City of Sydney. ', Darling Harbour Convention and Exhibition (DHCE) Executive Committee, Sydney, Australia. Harris, R, Schlenker, K, Foley, CT & Edwards, DC 2012, 'Australian Event Symposium 2012', Academic Paper Proceedings, Australian Centre for Event Management, University of Technology, Sydney, Sydney. Schlenker, K. & Foley, C.T. 2011, 'Beyond Tourism and Economic Benefits', Local Government and Shires Association (LGSA), Engadine, Sydney. Foley, CT, Edwards, DC & Schlenker, K 2011, 'Event legacies: Beyond the tourism spend', Proceedings from the 2011 Leisure Studies Association (LSA) Leisure in Transition: People, Policy and Places., Leisure Studies Association, Southampton, England, UK. Foley, CT, Schlenker, K & Edwards, DC 2011, 'The sociable aspects of conferences: Lessons for associations and business event organisers', Challenging Leisure: Australia and New Zealand Association of Leisure Studies 10th Biennial Conference, Australian and New Zealand Association for Leisure Studies, Dunedin, New Zealand, pp. 56-57. Foley, C.T. & Schlenker, K. 2009, 'Progressing event evaluation: global trends and indicators for triple bottom line reporting', Sustainable Development and Events - Proceedings of ACEM 5th International Event Management Summit, Australian Centre for Event Management, Gold Coast, Australia, pp. 1-1. Foley, CT, Edwards, D, Harrison, B & Hergesell, A UTS 2018, Feeding your performance program: evaluation one year on, Sydney. Edwards, D, Foley, CT & Hergesell, A 2016, Conferences: catalysts for thriving economies. The purpose of this study is to provide BESydney with an improved understanding of the characteristics of incentive delegates inclusive of expenditure on shopping, attractions and food and beverage; satisfaction with Sydney; and a comparison of Sydney to other destinations; with a focus on the Asian incentive market. information contained in this report as provided is false. Foley, CT, Edwards, DC, Schlenker, K & Hergesell, A UTS 2014, Estimating inscope expenditure attributed to business events held in New South Wales, Business Events Sydney, pp. 1-65, Australia. Edwards, DC, Foley, CT & Schlenker, K UTS 2012, The Sydney Entertainment Centre: Measuring the inscope expenditure into Chinatown, Darling Harbour and the City of Sydney, The Sydney Entertainment Centre, pp. 1-50, Australia. Schlenker, K. & Foley, C.T. UTS 2010, Parkes Elvis Community Survey, Parkes Shire Council, pp. 1-43, Australia. Schlenker, K, Foley, CT & Edwards, DC UTS 2010, Elvis Visitor Survey, Parkes Shire Council, pp. 1-36, Australia. Foley, C.T. & Hayllar, B.R. UTS 2006, Research and management report: Easts Narooma Shores holiday park, Sydney, australia. Exhibitors: Why Are They There? What Do They Contribute? Exhibitors - why are they there? Understanding exhibitor motivations at a business event.